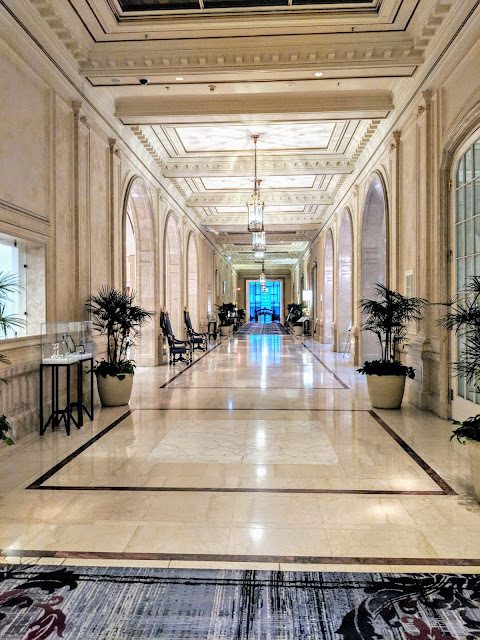 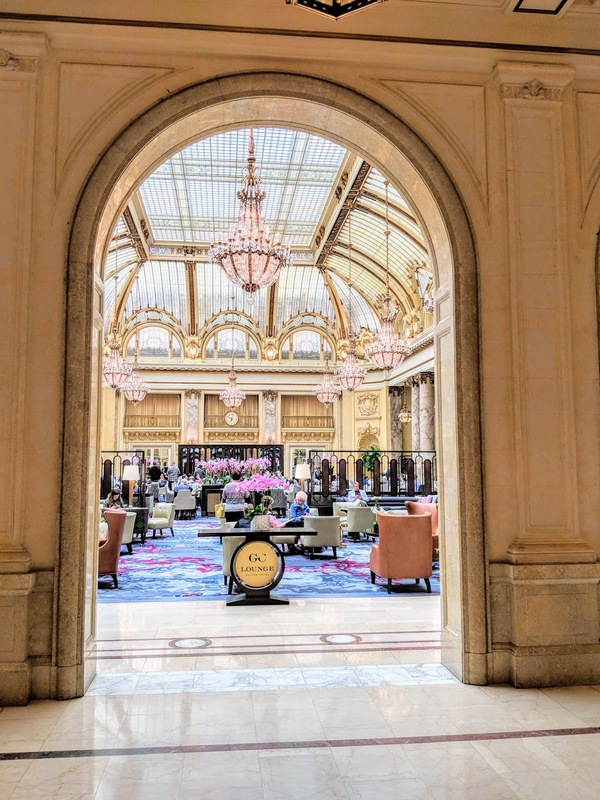 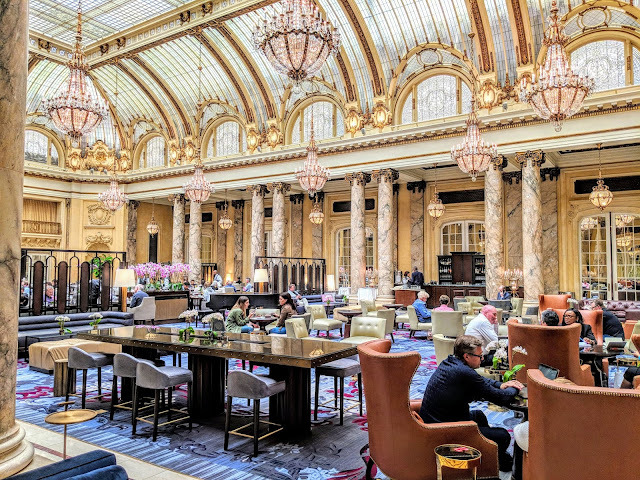 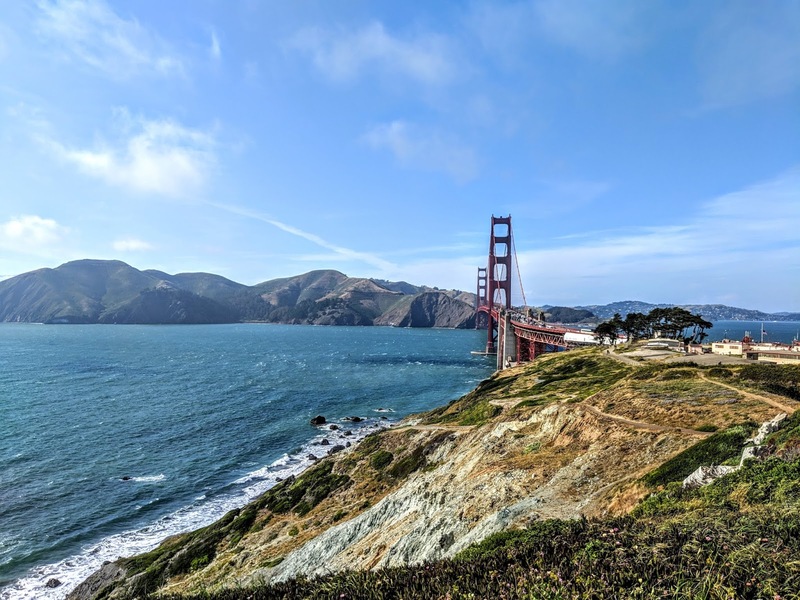 The Palace Hotel, a Luxury Collection Hotel, is a landmark hotel encompassing an entire city block in San Francisco and is conveniently located central to everything the city has to offer. 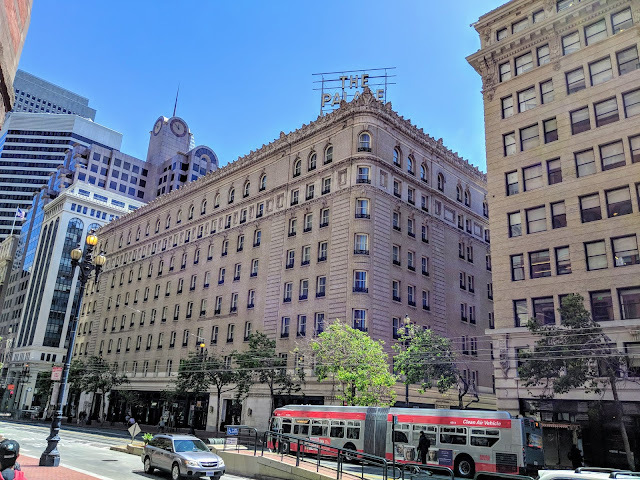 The hotel first welcomed guests in 1875, as the world's largest and most luxurious hotel, but the earthquake of 1906 destroyed the property. 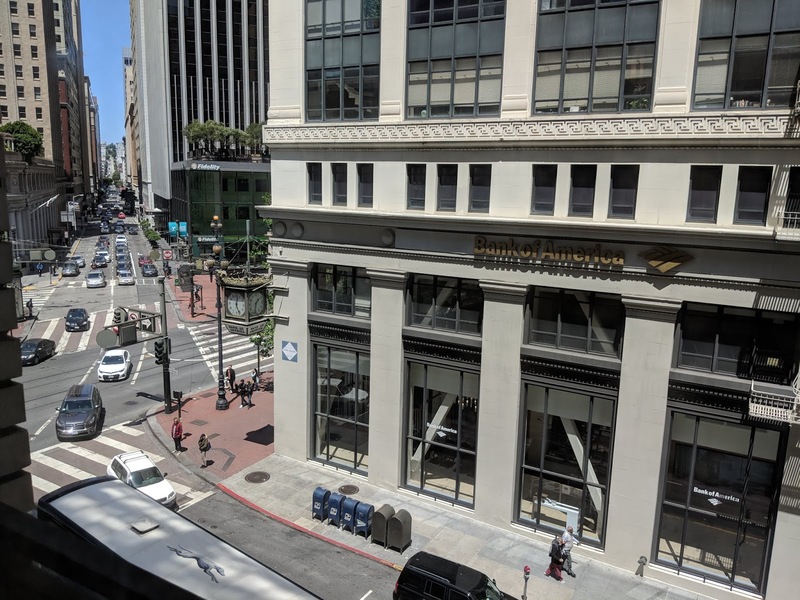 The building that stands now was constructed in 1909, renovated and retrofitted in the early 1990's and completely remodeled in 2015. 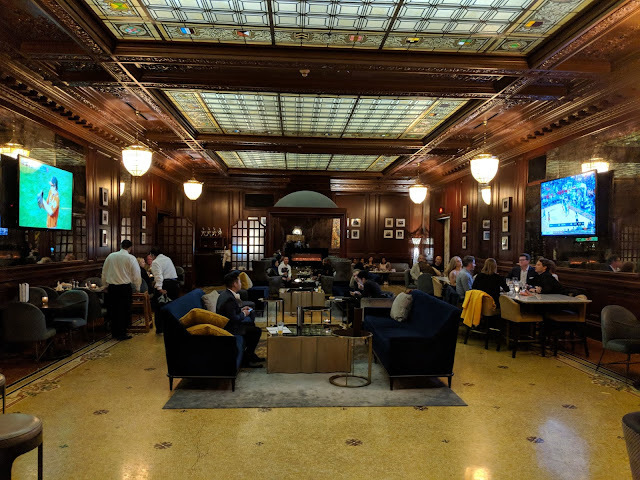 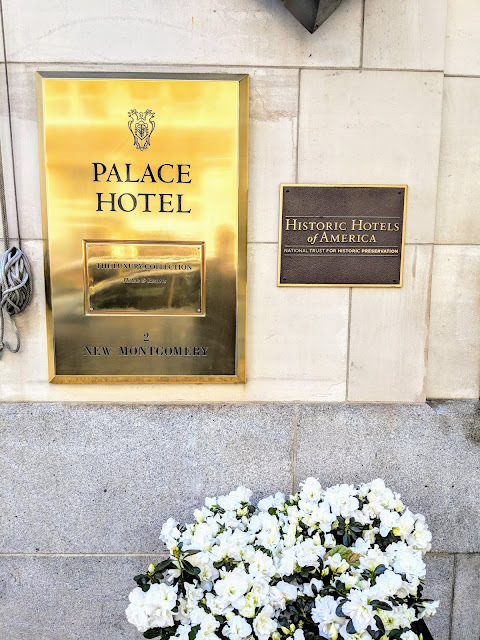 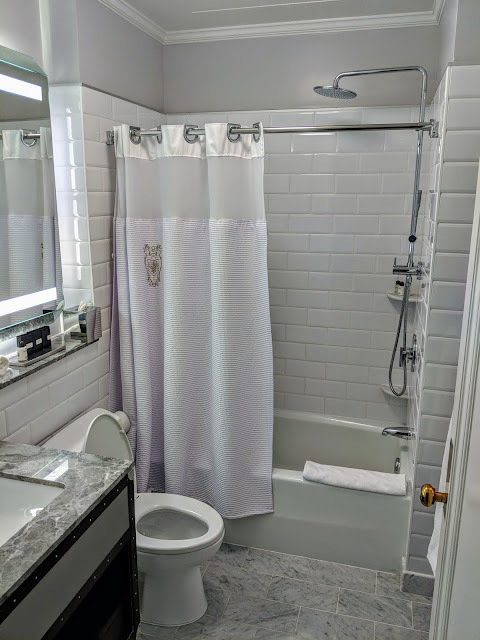 The Palace Hotel is located on the corner of Market and New Montgomery Streets in San Francisco’s financial district and is a few short four blocks from the Embarcadero, the waterfront promenade, along the San Francisco Bay. The hotel is nine stories tall and features 556 guestrooms with new flooring, dark woods, layered textiles and massive tufted headboards, all while keeping the original 1909 details. Upon entering the hotel, you'll be blown away by the historic charm of the lobby, complete with high ceilings and marble floors throughout. Indoor Pool: The Palace Hotel features a heated indoor lap pool with a skylit ceiling and views of the San Francisco cityscape. 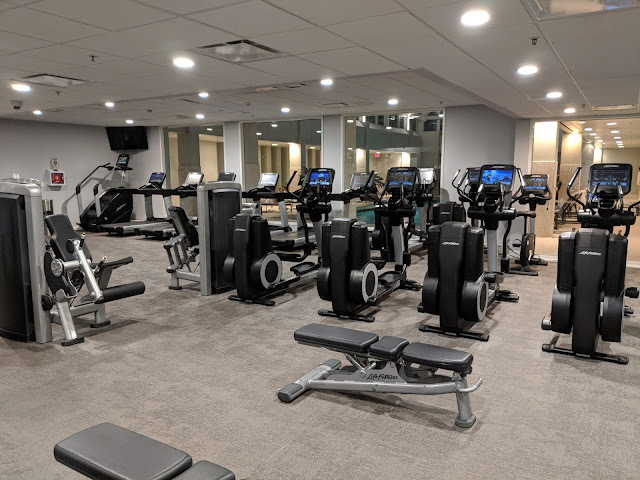 The Fitness Center is located on the third floor of the hotel, next to the pool area. 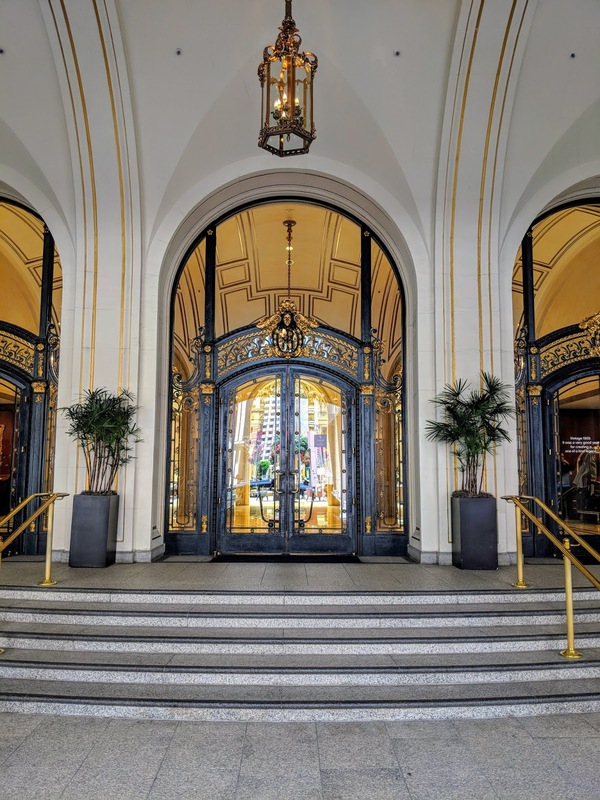 Valet Parking: The parking facility is located across from the hotel entrance and your best bet is to just pull up to the hotel and allow one of the valet attendants to park for you. 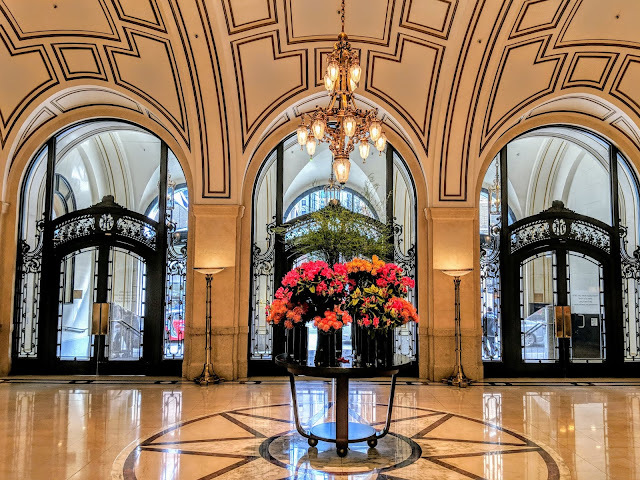 Valet parking starts at $72 for most cars and up to $84 for oversized vehicles. The Palace Hotel features two on-site restaurants, including the Garden Court, which debuted in 1909 and serves as San Francisco's only indoor landmark. 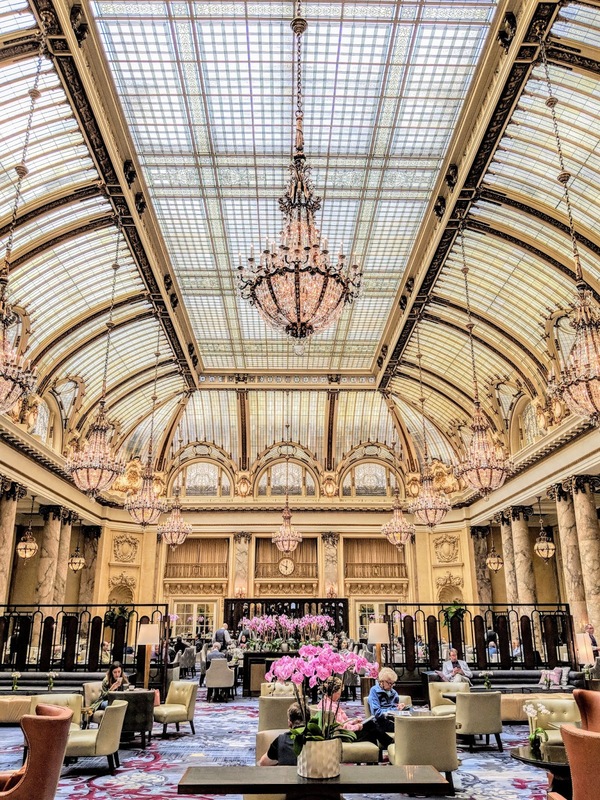 The Garden Court features 100-year-old Austrian crystal chandeliers and offers breakfast and lunch daily, as well as a Sunday brunch and a Saturday afternoon tea. At night, the Garden Court turns into GC Lounge and features hors d'oeuvres, cocktails and live music. 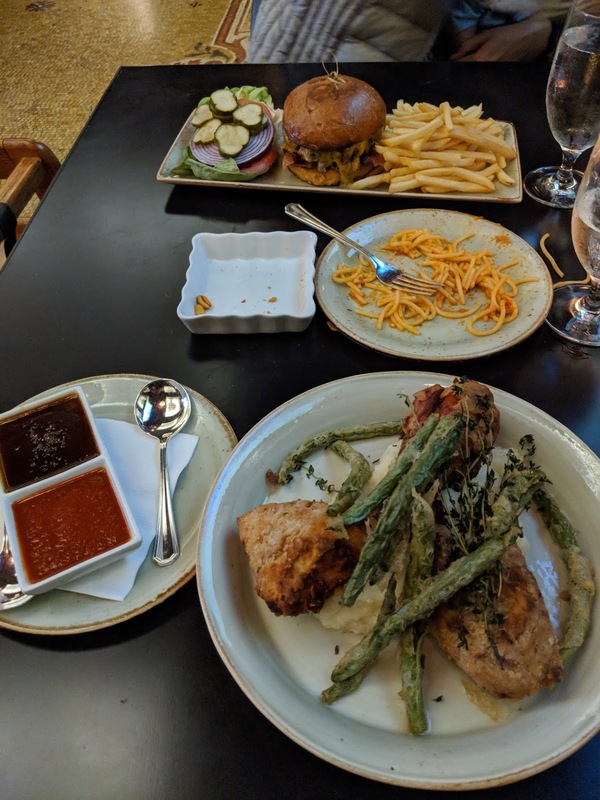 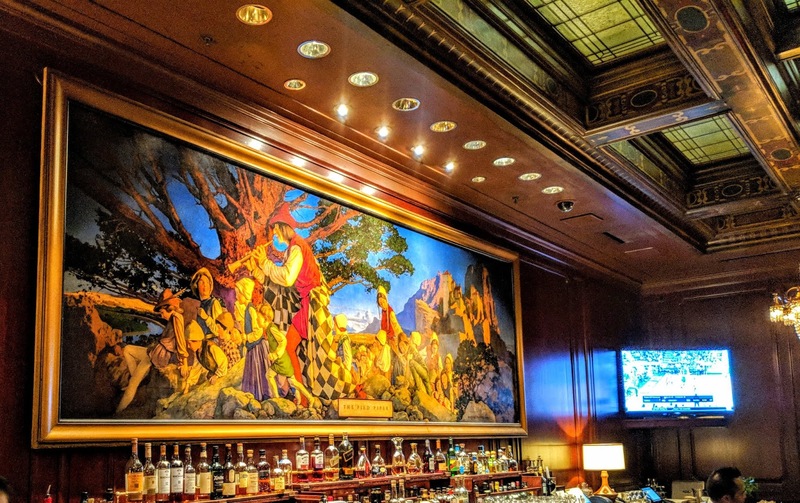 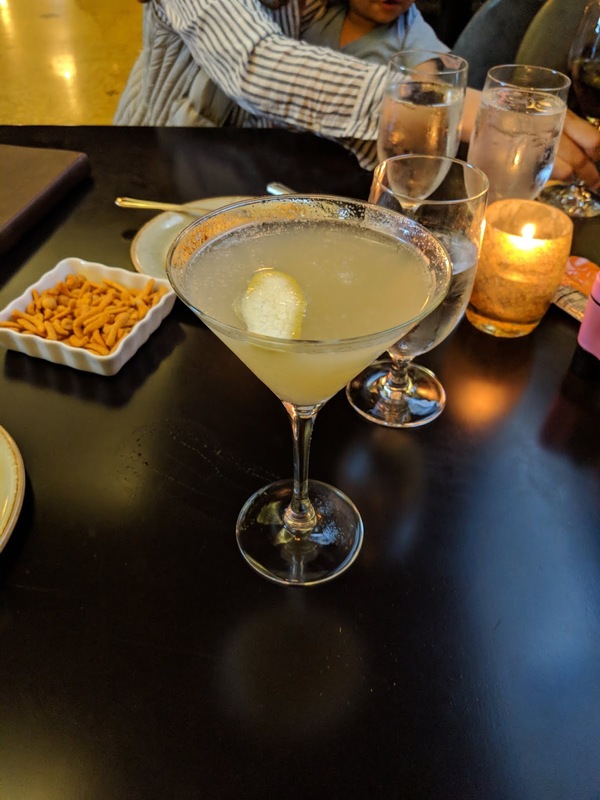 For dinner, head on over to the Pied Piper Restaurant, where you can grab a drink at the bar or dine on American fare at the wood-paneled restaurant. 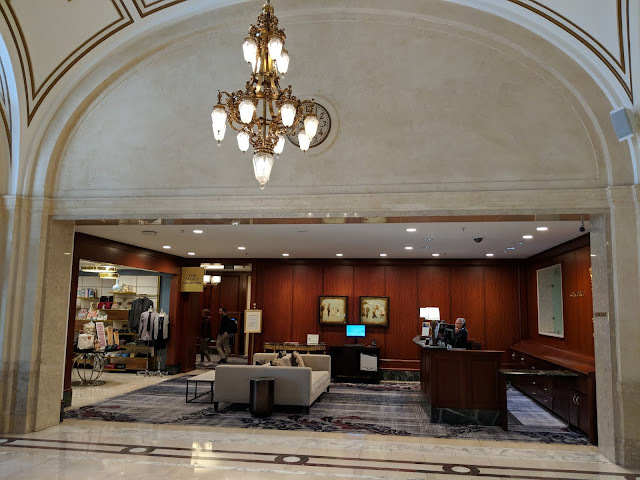 The hotel is nine stories tall and features 556 guestrooms featuring contemporary decor with new flooring, dark woods, layered textiles and massive tufted headboards, all while keeping the original 1909 details. 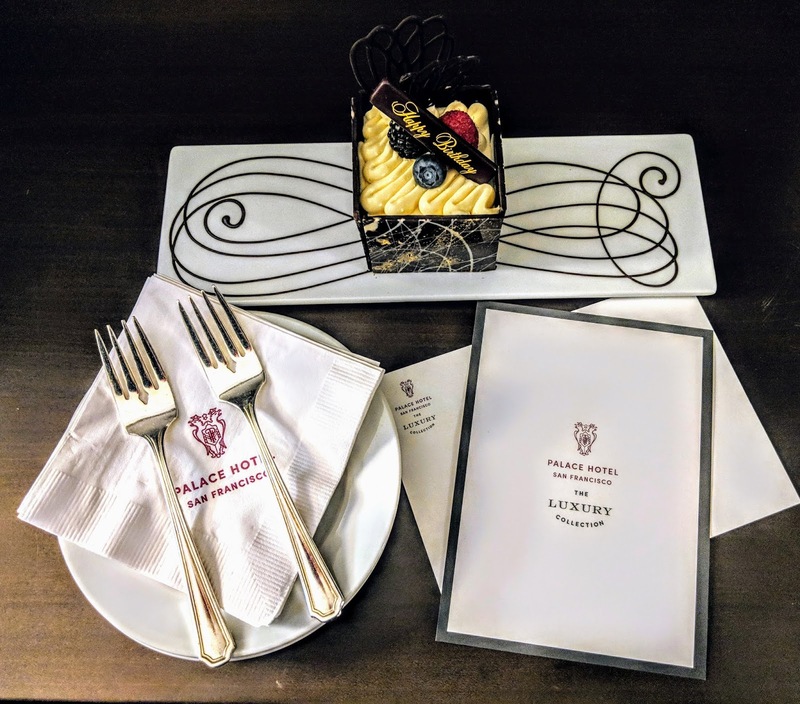 The room can be best described as classic elegance meeting contemporary design in an authentic, warm and welcoming surrounding. 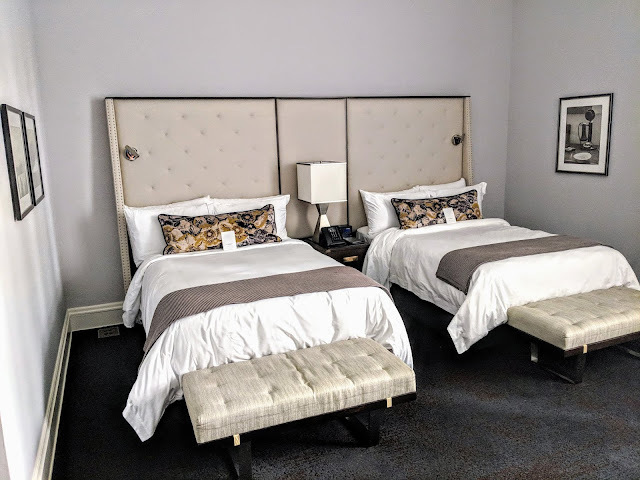 For our recent stay here, we were upgraded to a Deluxe Room featuring 330 square feet of space and two double beds. 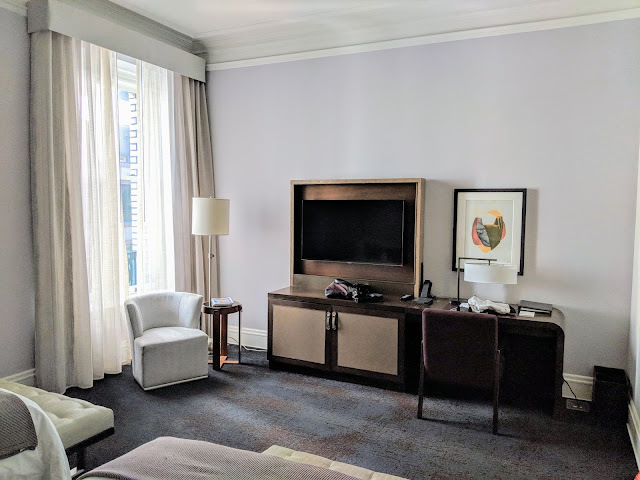 The well planned space (given San Francisco hotel room sizes) features a large tv, generous storage, and a large desktop. 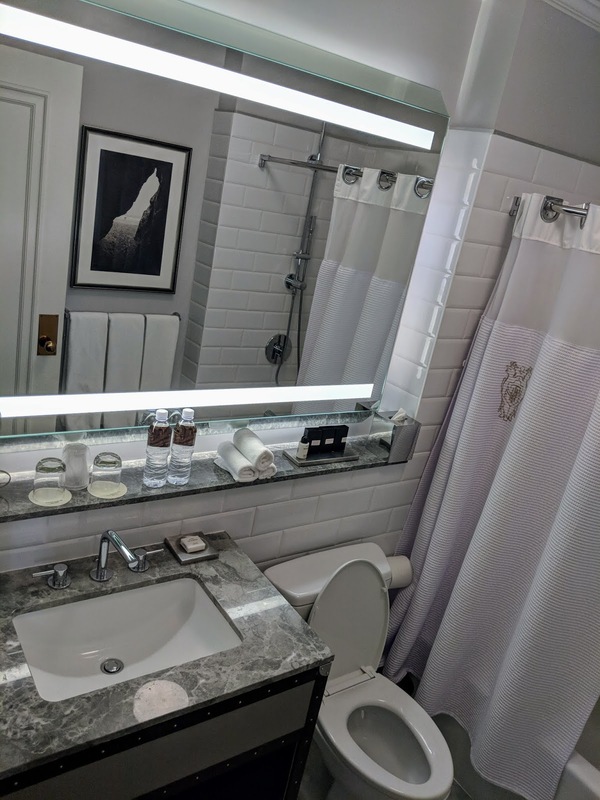 The bath was simple with clean lines and the white marble and light created an attractive fresh appeal to the space. The view from our room offered a glimpse of Market and Montgomery Street. 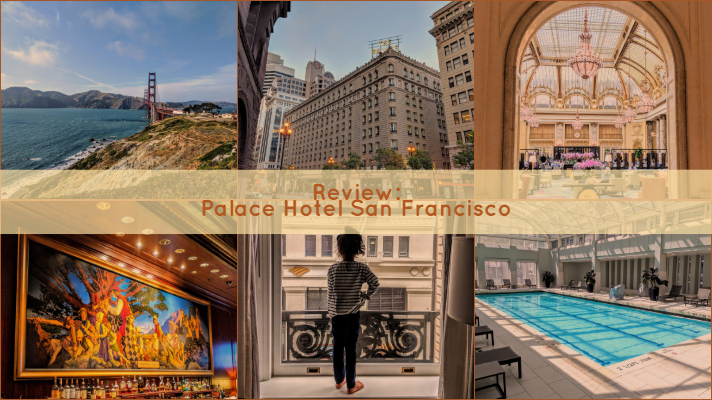 The hotel was central to the places we planned on visiting during our weekend getaway in San Francisco and overall offered great service during our stay. 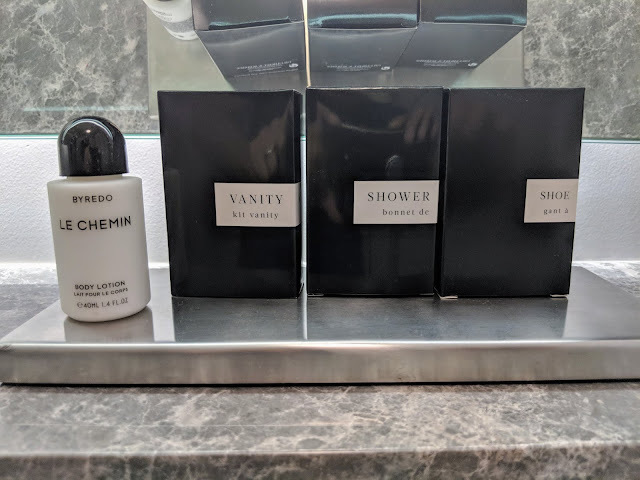 For our most recent stay here, we booked a SPG Luxury Privileges rate that granted us additional amenities for no additional cost. The Palace Hotel, a Luxury Collection hotel, is not only a part of the SPG Luxury Privileges Program, but is also a Virtuoso hotel. 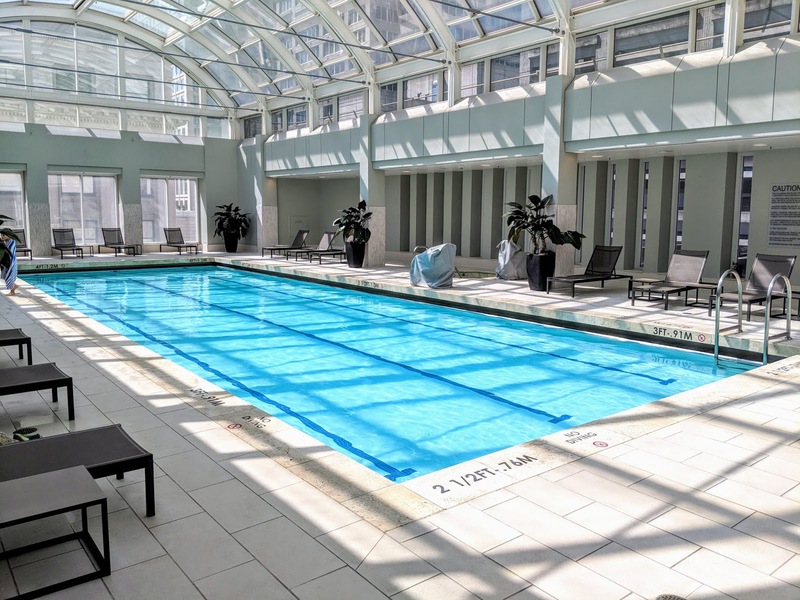 Both of the above mentioned programs have to be booked with a travel advisor with access to these rate codes. 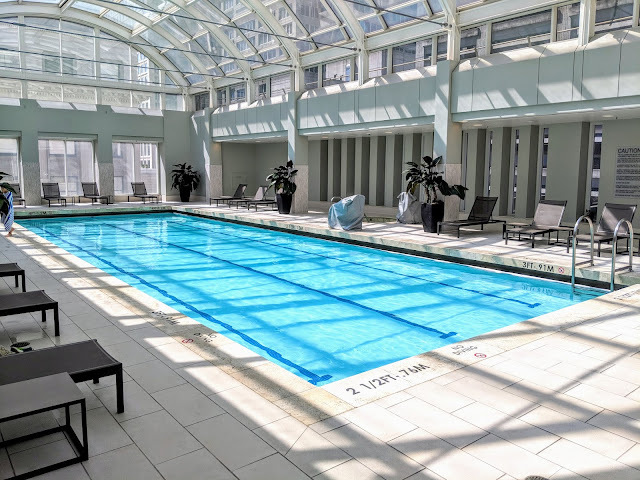 In most cases, the rate is the same as the Best Available Rate (BAR), but you extract so much more value for your stay with free breakfast, hotels credits and potential room upgrades.